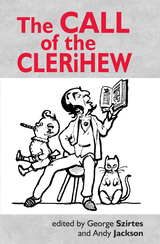 Sometimes described as the literate cousin of the Limerick, the Clerihew has attracted and inspired writers from GK Chesterton and Gavin Ewart to Craig Brown. WH Auden once wrote an entire book of Clerihews. Invented by Edmund Clerihew Bentley (1875-1956), the Clerihew is a childish anti-panegyric, flat-footed, Hudibrastic, eponymous quatrains designed to lower the tone and cut everyone down to size. The Call of the Clerihew brings together fifty contemporary exponents of this ridiculous form, including Ian Duhig, WN Herbert, Jacqueline Saphra, Katy Evans-Bush, Michael Rosen and Tim Turnbull, cocking a snook at the great and the good, the important and the self-important, the religious and the royal, despots and detectives, poets, philosophers and politicians. To be a good Korea move. Designed to ruin your digestion. He actually wasn’t well hung at all. Was known for his esprit d’escalier. Were later analysed for smart ripostes. Would force the peasantry to eat brioche. Though the Aid he administered was not Kool. Watched the Imperial Guard at Waterloo get blown apart. In the blood of the young. Caused by the reign of terror. From a bullet fired in rage. He died in old age. Ended up a Christmas turkey. He was also said to come up with the Tommy Gun. Oh no, that was his son. Still, he stuck with it all the same. 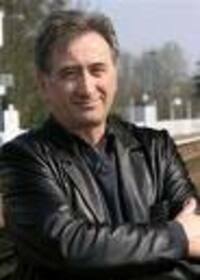 George Szirtes has published several books of poetry as well as of translated poetry and fiction. 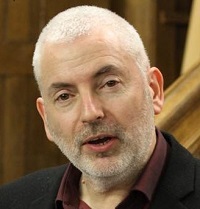 Since his TS Eliot Prize-winning Reel (2004) he has published four more collections including Collected and New Poems (2008). He has also translated poetry and fiction from the Hungarian.